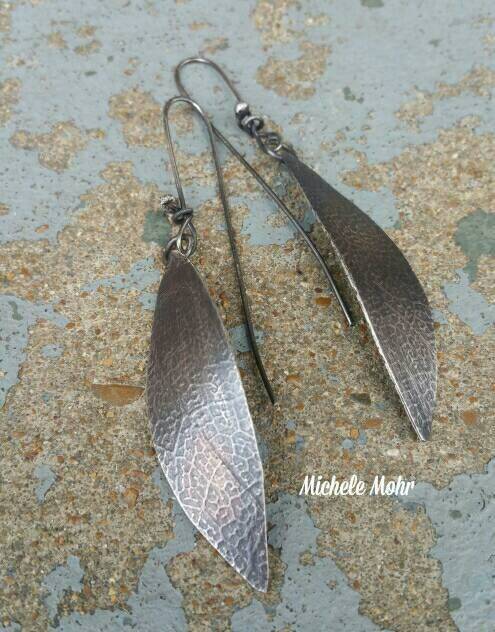 These beauties are created from .925 sterling silver sheet. 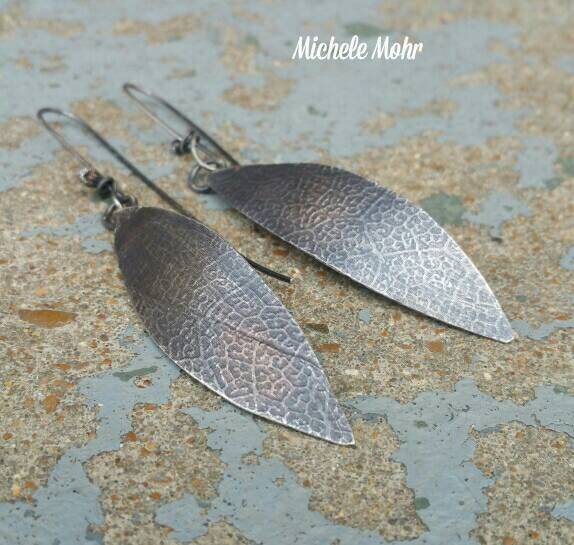 They are handcut, textured, formed, beveled and soldered. They are filed and sanded for smoothness. 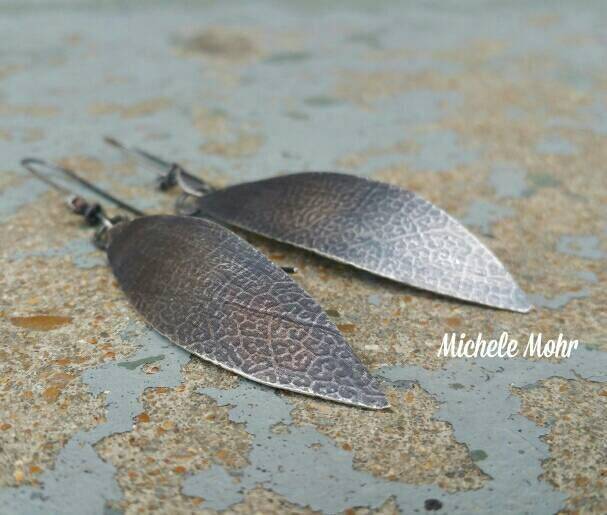 Each leaf is oxidized and buffed to bring out the beauty of the texture. It is polished with beeswax to maintain the oxidization. 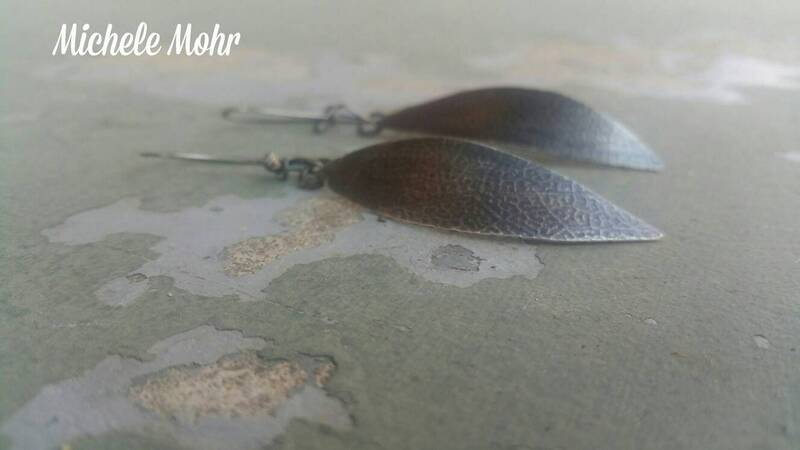 The long sterling silver earwires are handcrafted and oxidized. The ends are filed for smooth easy wear. These are approximately 3.125" in length including the earwires. 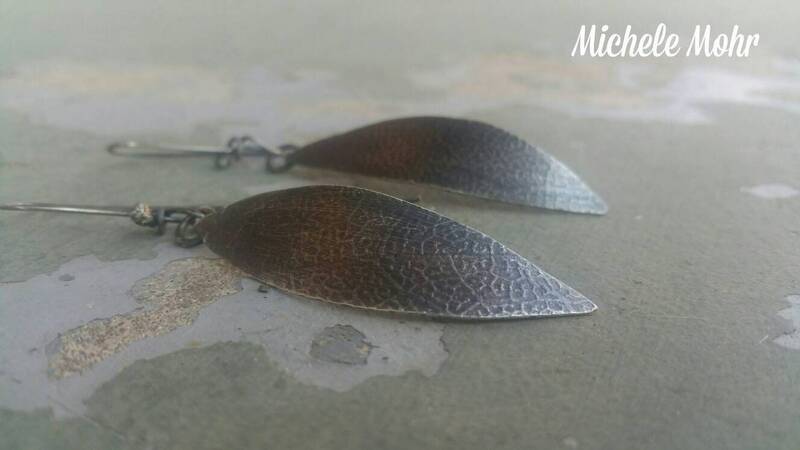 Each leaf is approximately 2.125" in length and 5/8" wide. 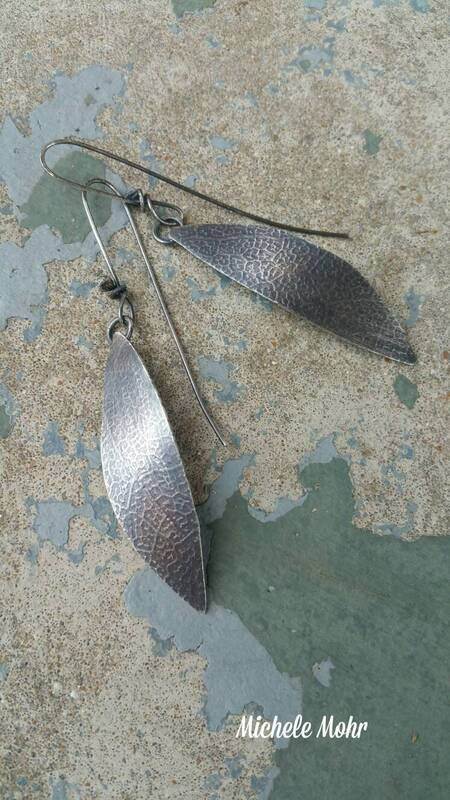 Lightweight and easy to wear. 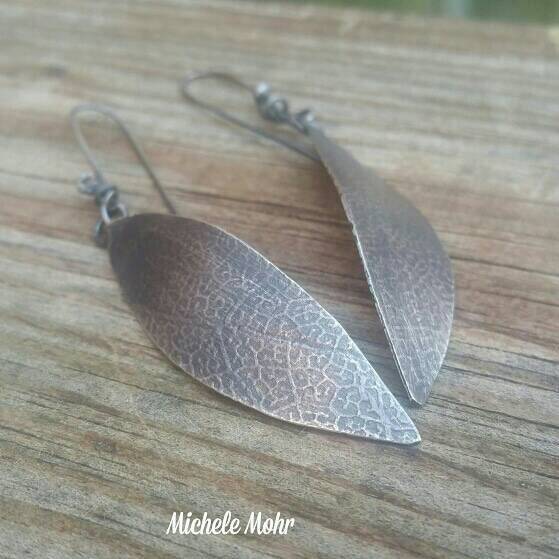 Perfect for everyday wear or for a special occasion. 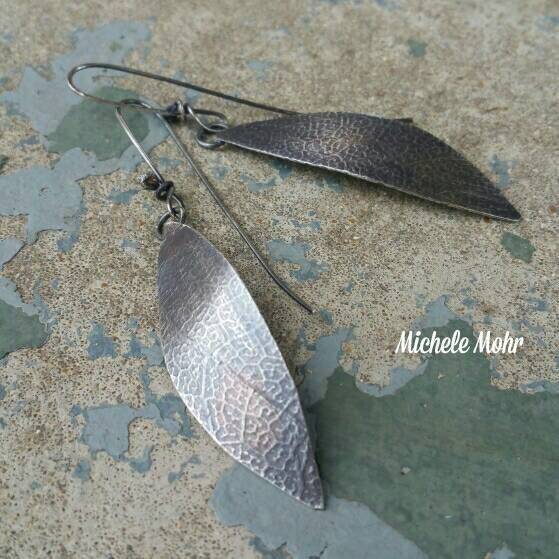 The earrings are nicely packaged in a cotton filled white gift box which is great for storage. Ready for gifting. Care: Please store when not in use to maintain color.